This week, I proudly stood with my colleagues in the State Senate to announce more than $1 billion in tax relief from the Republican tax bill that was rushed through Congress late last year. As you know, President Trump and Republican members of Congress pushed a tax bill through with little deliberation or sunlight. The bill passed by Congress will cause tremendous harm to Marylanders across the State. It will explode our national deficit by $1.4 trillion, fund tax cuts for the wealthy and corporations at the expense of middle-class families while raising taxes on 92% of all Marylanders. The plan that I supported in the State Senate this week will maintain personal exemptions for Marylanders, saving the average family of four approximately $1,000 a year. It also caps the estate tax exemption, allowing us to continue to protect our family farms, while preserving the fairness that Marylanders expect in our tax system. 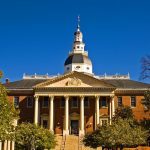 This will ensure that Maryland’s budget can fund priorities such as education, healthcare, public safety, and transportation. Fighting for those priorities, and fighting for all of you and your neighbors, has always been my focus. As the 2018 Legislative Session gets underway, I want you to know that I am committed to continuing this important work. It remains a great honor to represent our community in the Maryland Senate. If I can be of service to you or anyone you know please call my office at 301-858-3631, or email me at Douglas.Peters@senate.state.md.us (mailto:Douglas.Peters@senate.state.md.us) .